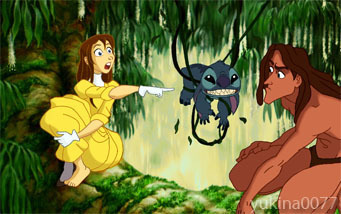 Jane,Tarzan and.... Stitch. Isn`t it cute? ;). Wallpaper and background images in the Disney Leading Ladies club tagged: disney disney heroine jane tarzan stitch.